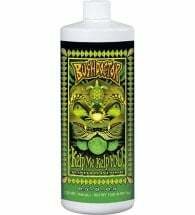 Ideal for fruit trees and ALL flowering plants! Dr. Earth Bud & Bloom Booster (Flower Girl) is a handcrafted organic fertilizer used to promote MAXIMUM blooms and strong root development. 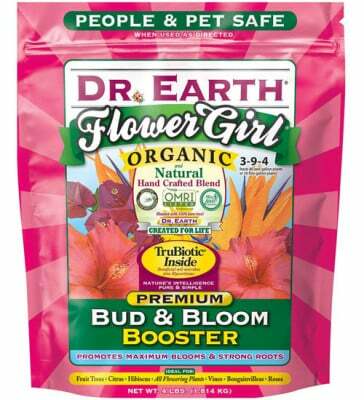 Each 4 lb bag feeds 80 one-gallon plants or 16 five-gallon plants. OMRI Listed for use in organic production. • Slow release — feeds your plants and your soil over time! 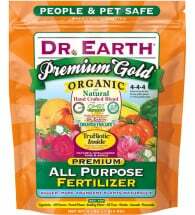 Apply Dr. Earth Organic 8 every other month throughout the growing season. For new plantings, add 0.5-2 cups per 1/2 cubic foot (5 gallons) of potting soil. Once planting is finished, add an additional cup around the plant and mix into the soil. For established plants, work 2 cups into the soil within the drip line, or top-dress one Tbsp for every 6-inch of pot diameter. 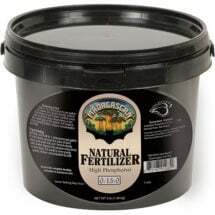 Can also be mixed with water for foliar feeding or deep root feeding. See product label for specific instructions. 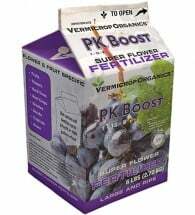 Ingredients: Fish bone meal, feather meal, potassium sulfate, alfalfa meal, kelp meal, seaweed extract and seven strains of Pro-Biotic beneficial soil microbes, PLUS Ecto and Endo Mycorrhizae.